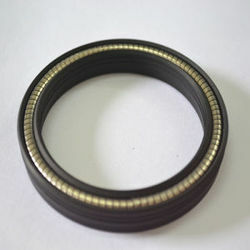 OEM Manufacturer of a wide range of products which include chevron seal set, metallic oil seal, rubber oil seal, viton oil seal, oil seal and joint rubber ring seal. 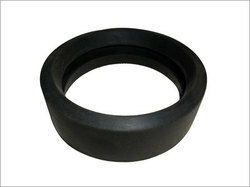 Backed by skilled and experienced engineering expertise, we are engaged in offering a wide collection of Rubber Oil Seal to our valued clients. 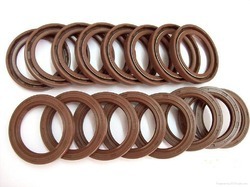 Manufactured using the best quality of rubber these products are used to protect the end used parts from any type of leakages. Moreover, we offer these products in various sizes and types in order to fulfill the client’s requirements. 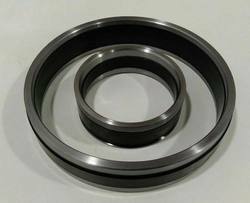 We are instrumental in providing our clients a comprehensive range of Viton Oil Seal. 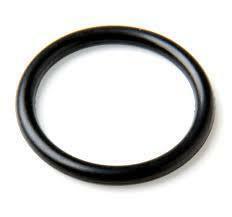 This seal is manufactured using supreme class rubber that sourced from reliable vendors of the market. Manufactured with the help of cutting-edge technology, this seal is rigorously tested on various parameters by our quality controllers. 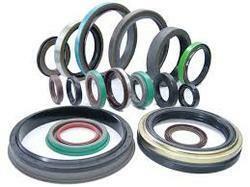 This seal is offered in various specifications to fulfill diverse needs of the clients. We provide this seal at market leading price to the clients. A hammer union comprises of a thread end, a nut end and a hammer nut which, when cinched up, compresses a composite seal assembly thereby preventing leakage. The seal assembly comprises a metal insert of a size to pass into the seal groove of conventional hammer unions and a small seal acting between the insert, the thread end and the nut end. The small seal is conveniently an O-ring or a Hammer Union Seal (Lip Seal) and is of a size that is compressed when the seal assembly is inserted into the thread end of the hammer union. 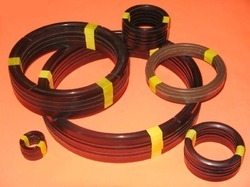 With the help of our professionals, we are able to offer our clients with a broad array of Rubber Oil Seal. This oil is manufactured by our experts with the help of highly developed technology using high grade rubber in line with set industry standards. 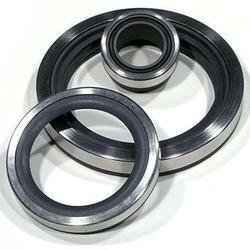 Available in various sizes, this seal can also be customized as per the exact requirements of clients. Further, this seal is offered at the most affordable rates to the clients. 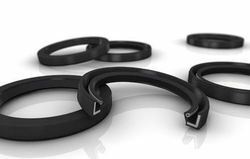 We offer a wide range of sealing products machined from polytetrafluoroethylene (PTFE) and other premium polymers, and energized with custom-engineered Blackite® canted coil spring. Seal jacket materials can be blended with engineered fillers, such as carbon fiber, to meet your specific application requirements for durability, temperature resistance and longevity. A variety of spring materials are available to optimize performance. 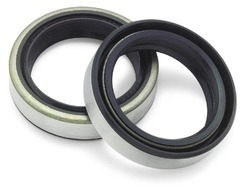 In our seal designs, the spring exerts a near-constant force over a wide deflection range to ensure more even, consistent wear and longer service life.